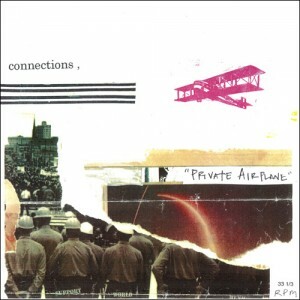 Private Airplane (Anyway 070), the debut album from Columbus supergroup Connections, was released earlier this month. The band features singer Kevin Elliott and guitarist Andy Hampel, both formerly of 84 Nash, Times New Viking drummer Adam Elliott, El Jesus de Magico guitarist Dave Capaldi, and bassist Philip Kim, also of Andrew Graham & Swarming Branch. The album is available in Columbus at Used Kids, Lost Weekend, Magnolia Thunderpussy, and via mailorder and download at Midheaven.